The Indian government expressed deep concern over misinformation spreading through WhatsApp which resulted in the murder of 31 people across 10 states in India over the past year. In response, WhatsApp wants to award social researchers up to $50,000 to “enrich its understanding of the problem of misinformation”. (UPDATE): WhatsApp has now written to the Ministry of Electronics and Information Technology saying, "Thank you for your letter dated July 2. Like the Government of India, we're horrified by these terrible acts of violence and wanted to respond quickly to the very important issues you have raised. We believe this is a challenge that requires government, civil society and technology companies to work together. Many people (nearly 25 per cent in India) are not in a group; the majority of groups continue to be small (less than 10 people); and nine in 10 messages are still sent from just one person to another. With the right action we can help improve everyone's safety by ensuring communities are better equipped to deal with malicious hoaxes and false information -- while still enabling people to communicate reliably and privately across India." WhatsApp has announced unrestricted research rewards of up to $50,000 for proposals from social scientists and research groups that propose projects to “enrich” the company’s understanding of the fake news problem. The messaging platform announced this new initiative in light of the fact that since June 2017, at least 31 people across 10 states in India have been killed by mobs because of misinformation distributed through forwarded WhatsApp messages. The latest such case occurred on July 1, 2018 when five men who came to Maharashtra’s Dhule district to beg, were misidentified as child kidnappers and traffickers, and killed by an angry mob, all thanks to a fake WhatsApp message. In light of increasing incidents of violence fuelled by WhatsApp, the Indian government issued a statement on Tuesday, warning WhatsApp to take action to curb the spread of such deadly misinformation. The Ministry of Electronics and Information Technology directed WhatsApp to take “immediate action to end this menace”. "Deep disapproval of such developments has been conveyed to the senior management of the WhatsApp and they have been advised that necessary remedial measures should be taken to prevent the proliferation of these fake and at times motivated/sensational messages," the statement from IT ministry said. WhatsApp’s response to the problem has been three-fold so far. A WhatsApp spokesperson said that the company is working to mark forwarded messages clearly, so that users know if the message is sent privately or has emerged from a forwarded trail. Another step WhatsApp took a few days back allows Group Admins of WhatsApp groups to restrict posts from other members of the group. WhatsApp’s latest approach to stop the dissemination of misinformation on the platform came after Sunday’s incident in Maharashtra and followed the government’s strict warning. The Research Reward introduced by WhatsApp calls out for any social science or technological perspective that could help the company better understand the problem of fake news and why people spread it. “We welcome proposals from any social science or related discipline that foster insights into the impact of technology on contemporary society in this problem space. The WhatsApp Research Awards will provide funding for independent research proposals that are designed to be shared with WhatsApp, Facebook, and wider scholarly and policy communities. These are unrestricted monetary awards that offer investigators the freedom to deepen and extend their existing research portfolio. Applications are welcome from individuals with established experience studying online interaction and information technologies, as well as from persons seeking to expand their existing research into these areas,” WhatsApp wrote in a media release. One school of thought is that WhatsApp messages should be tagged with the number from where they originate. Another school of thought says this would compromise the private and social nature of the platform. But, with more than 200 million WhatsApp users in India, the platform does need to take responsibility for securing interactions done using the service. With its research proposal, WhatsApp wants to understand the dynamics of content consumption with respect to its credibility. The company says that preference will be given to research conducted in countries where WhatsApp is a prominent medium of communication (India, Brazil, Mexico, etc). Here are all the guidelines to participate in WhatsApp's reseacrh initiative. "WhatsApp cares deeply about the safety of our users. Through this new project, we look forward to working with leading academic experts in India to learn more about how online platforms are used to spread misinformation. 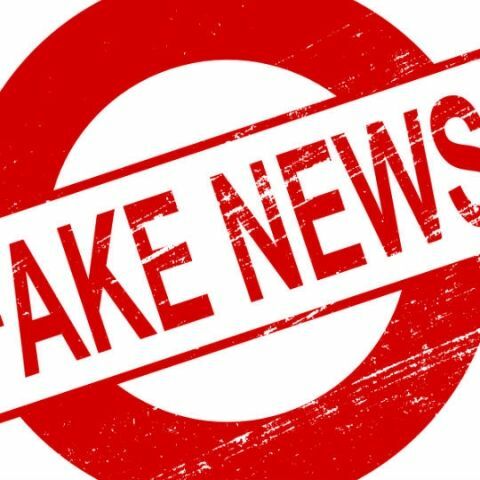 This local research will help us build upon recent changes we have made within WhatsApp and support broad education to help people spot false news and hoaxes,” said a WhatsApp spokesperson. Meanwhile, Facebook owned WhatsApp is not the only platform responsible for the spread of fake news. Facebook itself has been struggling with the problem of fake news and has taken several steps in the recent past to combat misinformation. The platform now uses AI and related articles to filter out fake news. Also, when an article is verified as inaccurate by the social network's third-party fact-checkers, Facebook will shrink the size of the link post in the News Feed. In addition, the company is reportedly investing in London-based AI firm Bloomsbury AI to make use of artificial intelligence for spotting fake news. But, while AI and other tools can help lessen the footprint of fake news on Facebook, WhatsApp and Facebook Messenger’s encryption feature prohibits the company from scanning messages spreading misinformation. Even tagging forwarded messages could possibly fail, given that the content of these messages is what fuels violence. Is it possible to detect a fake (Nokia) battery just by the outer cover?